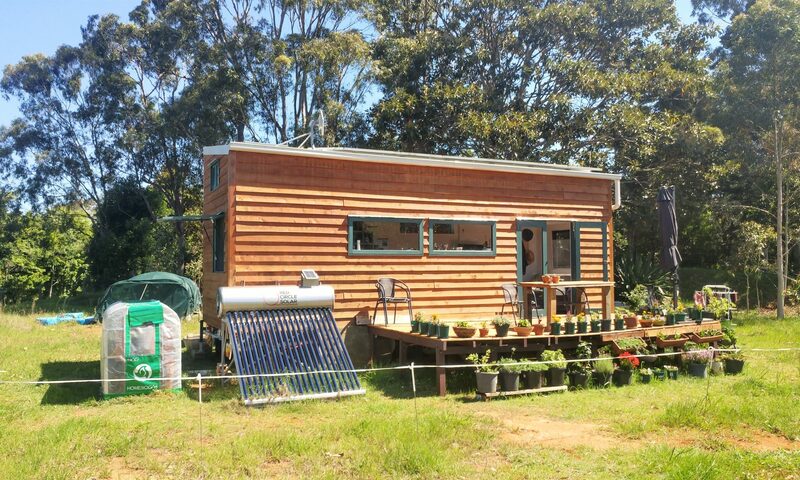 One big part of our off-grid-adventure is to live a more self-sufficient lifestyle rather than having to dependent on companies or big industries. That’s why we’re trying to produce as many things as possible ourselves. This includes harvesting our own energy, e.g. from the sun, growing our own vegetable and also making our own food. While it’s understood that not everyone can just move to the countryside to go off grid, eating healthy and well is achievable! Here is why you should consider it. I’m not an overly picky person, the food I eat doesn’t have to be bio-dynamic but it is a fact that it’s getting harder and harder to identify ingredients in store bought food. These days food can be genetically modified and we don’t even know it. Most of the times our favourite food contains a confusing list of additives, hidden sugars and artificial colours. I don’t want to eat those! Organic labels can be an alternative but unfortunately, they’re not always reliable either. Organic can mean a lot of things, and sadly this doesn’t necessarily mean that the product was produced naturally and without pesticides. This is quite frustrating, don’t you think? When did food become so complicated? But there is hope! My answer to this issue is to cook and bake my own food. This way I know exactly what’s in it, where the produce came from and I don’t have to worry about poisoning myself. On top of that it that tastes better too! Don’t worry, it’s easy! I started off with simple dishes like pasta sauces, dips, pestos and soups and then worked my way up to more complicated things like pizza dough, bread, mustard and homemade gnocchi. You’d be surprised how easy it is to make your own food once you find out how. I for example always thought mustard and sauerkraut are complicated to make. But they’re the easiest foods ever and so good for you! Once you’ve started making your own food you don’t even want to go back to supermarket products. I think that we’re just so used to going to the shop and buying everything off the shelf that it doesn’t occur to us that we could make this at home. It’s a convenient world we live in. Don’t get me wrong, I like the convenience but I like to live a healthy life more! For what it’s worth, cooking is not an inconvenience for me. I enjoy it because it relaxes me. I like learning how to make different foods. Trying something new and mastering it is very rewarding, you know. And it’s healthier too. Even if it doesn’t work out right away, just try it again later. My nemesis at the moment is cheese…. You gonna like this one! Making your own food can work out to be cheaper. I buy all of our “dry” food like flours, legumes, seeds, etc., at a wholefoods shop where I bring my own containers, save plastic and only get the amount I need. That way I’m buying smaller quantities and use them up quicker before they go stale. Let’s have a look at a concrete example of making mustard. I never considered making my own mustard until I gave it a go one day. Apart from the fact that it’s incredibly easy to make, it turned out to be cheaper too! I bought two cups of mustard seed from our local wholefoods shop for about AUD$2. However, I ended up not paying anything for them because I still had a few dollars left on my customer’s rewards card. From those two cups of mustard seeds, I produced 700 ml of mustard! In comparison, the cheapest mustard at Coles costs AUD$1 per 100 g which amounts to AUD$7 for 700 ml. I spent AUD$2 (actually zero)!!! Isn’t that great? And my mustard doesn’t contain any additives and tastes amazing. For full disclosure, I should add that I also used 100 ml of apple cider vinegar which costs around AUD$0.80. Still much cheaper than store-bought mustard. I know that a lot of people think that it takes too long to cook every meal from scratch. I disagree. Most meals don’t even take longer than 30 minutes to prepare and cook. There are so many easy and quick recipes out there these days that “time” should not be an issue anymore. But I do have a few tricks up my sleeve that makes cooking life even more time-effective. Try to be efficient with your time and precook lunches/dinners for the whole week. Fill them in airtight containers, put them in the freezer and take them out and heat them up when needed. Another way to be efficient is by starting with the product that takes the longest cooking time and prepares everything else while this one is cooking. For example, the other day I made bread, sauerkraut, tomato sauce and carrot greens pesto. I started with the dough for the bread first because it takes 50 min to bake. While the bread was doing its thing in the oven, I started boiling the tomatoes for the sauce. While the tomatoes were boiling I made a quick pesto from carrot greens. Then I skinned the tomatoes and put them back into the pot to simmer away. In the meantime, I chopped the cabbage and made sauerkraut. By the time I filled the sauerkraut into jars, the tomato sauce and the bread were done. It took me around 2.5 hours to make all that food. Not bad, aye? Just give it a go. Take a recipe you always wanted to make and try it. Don’t be frustrated if you don’t get it right the first time (damn you stupid cheese). Just try it again, eventually, you get the hang of it. I can only highly recommend it! Cooking your own food is healthy, easy, cost-effective, rewarding and a lot of fun! Previous PostPrevious Our tiny house trailer has arrived!! Next PostNext Make the most delicious and healthy bread in just one hour! !